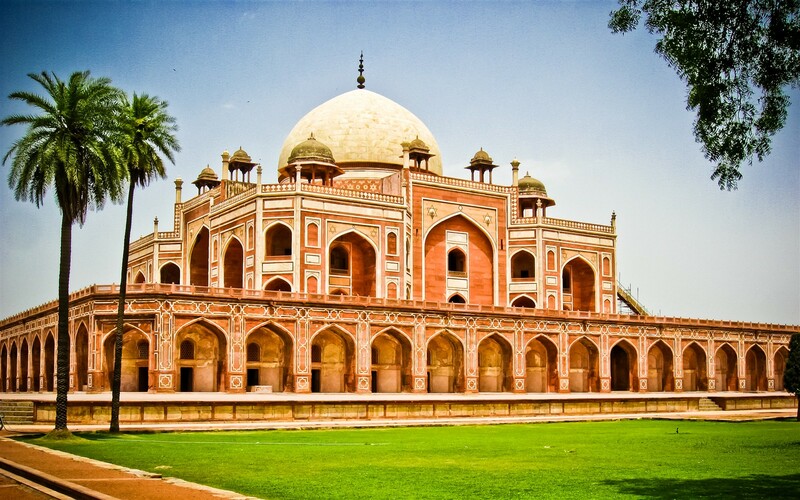 Humayun 's Tomb in Delhi is a famous tourist destination and is classified as a UNESCO recognized World Heritage site. The Mogul emperor, who died in 1556 was buried here and the tomb was first commissioned by Humayun 's wife and consort Banu Begam, also known as Haji Begam in 1569-70. The construction work completed in 1572 - too short a time. 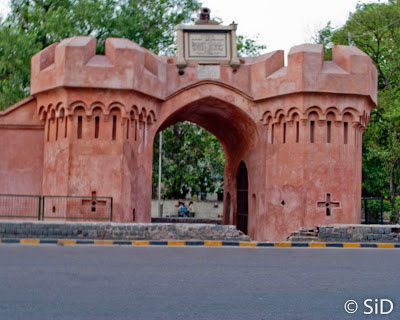 It is located in Nizamuddin East, now a suburb of Delhi, close to Purana Quila. It is a tomb complex and houses the graves of Bega Begam, Hamida Begum, Dara Shikoh (son of emperor Shah Jehan) and many others. It is considered the first garden tomb on the Indian subcontinent. The architecture and the artistic works in the mausoleum are so overwhelming, that knowledgeable visitors tend to forget about the heart-rending pathos behind this eye-catching structure. This building was built at a time when the Mogul dynasty was powerful, rich and well rooted in India. We can not reconcile to the fact that this impressive hoary mausoleum is associated with two important, but sad events in the Mogul history. It was here, Dara Shikoh, the beloved son and successor to the throne of the well-known Mogul ruler, Shah Jehan ( the builder of the Taj) was buried after his brutal murder. 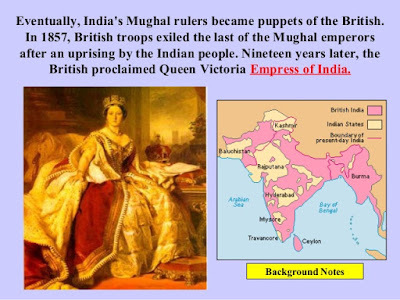 The other incident that goes down in the history of British India as well as world history was the down fall of the Mogul dynasty in India and the arrest of the last and weak emperor Bahadur Shah Zafar. It was right on the premises of Humanyun's tomb, the British army led by Major. Hodson pulled down the curtain on the surviving ruling dynasty and tolled the death knell. The Mogul dynasty that lasted for several generations despite several upheavals. 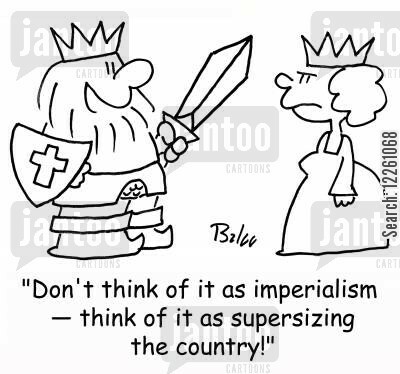 Paradoxically, when the wily British East India company came to India to do business in 1600s, the officials bowed before the then Mogul ruler and after some cajoling got the permission to begin their mercantile trades in India. 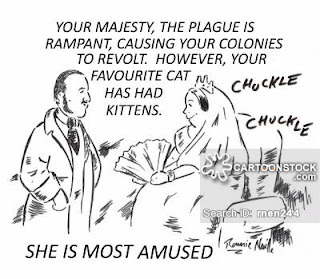 The same British company, having gained military and economic supremacy centuries later, pushed the Mogul rulers from sublime to disgrace. They, without any hesitation, used various unpalatable tactics - betrayal of trust, broken promises, deceptive doctrines, coercion, wheeling and dealing, etc. They got the best out of the disunity among the Indian rulers across India. Mirza Abu Zafar Sirajuddin Muhammad Bahadur Shah Zafar, the second son of his father, Akbar II, happened to be the last Mughal emperor and he took the reigns upon his father's death on 28 September 1837. Political scenes change as time goes by, so do the rulers of major dynasties. The powerful Mogul rulers became powerless at the fag end because of misrule, unnecessary war and religious suppression by emperor Aurangzeb. The invasion of Nadir shah and his plundering of Delhi and the Mogul treasures was a great blow to the subsequent rulers. 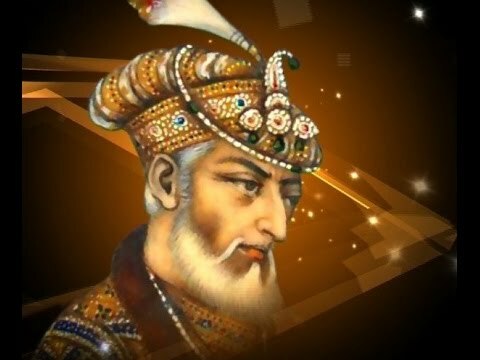 As for Bahadur Shah Zafar, he was just a nominal Emperor with limited powers, and the Mughal Empire existed just for name sake only and his authority was limited only to the city of Delhi. (Shahjahanbad). The East India Company became a dominant force in mid 19th century both militarily and politically. The Indian land became fragmented into hundreds of kingdoms and principalities, a boon for the foreign rulers to keep them under check. The Indian Rebellion of 1857 was the culmination of misrule, racial discrimination, and scant respect for the religious sentiments of the Indian soldiers consisting of both Muslims and Hindus. The rebellion became out of control for the British and it had begun to spread to many cities from Meerut where it started. 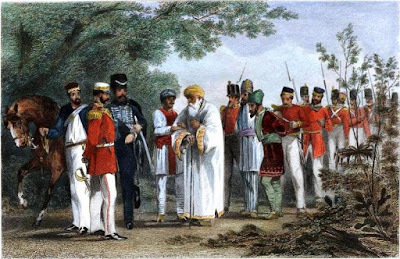 One group of rebels captured Delhi and accepted Bahadur Zafar as the Emperor of India, as he was a good man and had a neutral view on religion. With, hesitation, he accepted to lead them. Soon, on 16 May 1857 the palace servants killed 52 Europeans who were secretly hiding in the palace for safety and they were executed under a peepul tree by the mob, despite Zafar's protest and dismay. Zafar was against violence, massacre and looting and was not part of this incident. 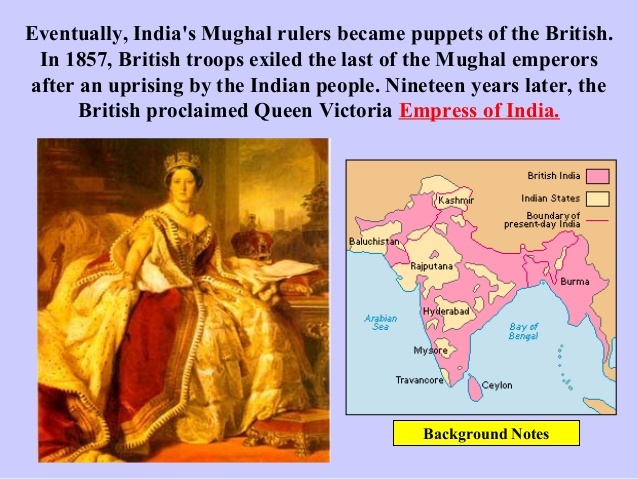 Th rebellion became chaotic and unruly because of lack of leadership and the British accused Bahadur Shah Zafar of having instigated the rebels against the British to commit massacre. Shah Zafar and later his sons by military officer William Hodson at Humayun's tomb in September 1857. Soon after the rebellion, the British Crown took over the administration, ending the hegemony of the English company. This tomb, built during the glorious days of the Mogul rule, ironically, saw the end of it. Above image: Major William Hodson, a ruthless military officer of the East India company. He raised the famous regiment of irregular light cavalry and was the first to introduce Khaki uniform in the military. He played a major role in arresting the last Mogul ruler Zafar at the Humayun's tomb. On 22 September 1857 not only did he murder the last three surviving young Mogul princes after removing their valuable possessions but also had their bodies hung in front of a Kotwali, or police station, and left them there to be seen by all. All these happened close to the popular Khooni Darwaza, or 'Bloody Gate', Delhi. In the past countless killings took place here. As the British had begun to gain an upper hand in suppressing the long-lasting rebellion, Emperor Zafar to avoid being caught by them, wanted to choose the safest place in the city. So, finally he, along with his three sons, moved over to the outskirts of the city and took refuge at Humayun's Tomb complex. The belief was that no body would look for enemies in places such as tomb. The English, at last, got the scent from the betrayers about the whereabouts of the Mogul emperor and the army led by Major William Hodson surrounded the tomb. 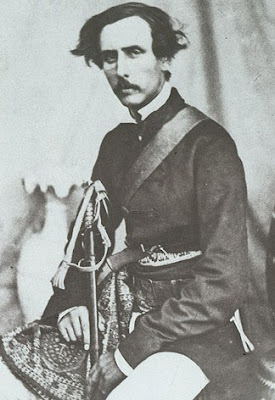 Ruler Zafar peacefully surrendered to the British forces on 20 September 1857. His sons were still at large and refused to surrender. The following day at the Humayun 's tomb, Zafar's sons surrendered to the British force on condition of fair trial and safety. Cunning army officer Hodson agreed and had three young Mogul princes taken on a bullock cart before the grief-stricken demoralized public. When they were near the Khooni Darwaza, or 'Bloody Gate, Hodson diabolically ordered the three princes to get off the cart and to strip off their top garments. He then took a carbine from one of his troopers and shot them dead before stripping them of their signet rings, turquoise arm bands and bejeweled swords. Their bodies were ordered to be displayed in front of a kotwali, or police station, and left there to be seen by all. Thus, Hodson shot dead the last mogul princes Mirza Mughal and Mirza Khizr Sultan, and grandson Mirza Abu Bakr under his own authority near the Delhi Gate with out any scruples or compunction. It is said Major Dodson also slaughtered the royal family members of Zafar both women and children without any remorse whatsoever. 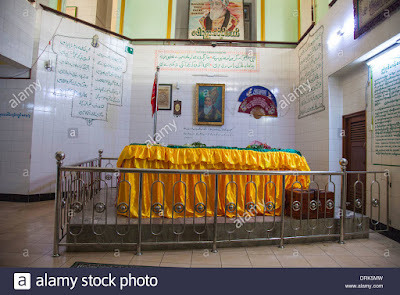 About ageing Emperor Bahadur Shah Zafar, he was not sentenced by the British judges (constituting Kangaroo court) but was exiled to Rangoon, Burma, where he died in isolation and pain November 1862 at the age of 87. 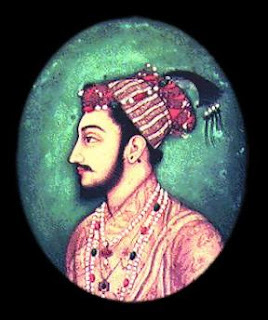 A Mughal miniature painting of prince Dara Shikoh. en.wikipedia.org . Dara Shikoh, (20 March 1615-30 August 1659) the eldest son and the heir-apparent of the fifth Mughal Emperor Shah Jahan was philosopher-prince of Mughal India. He was a moderate Muslim and never gave room to religious fanaticism. The illness of Shah Jahan on 6 September 1657, led to a power struggle among the four Mughal princes within the family. After some seesaw struggles, finally Dara Shikoh was pitted against Aurangzeb, who happened to be a religious bigot, tyrannical and highly-self centered. Prince Dara Shikoh was defeated by his younger brothers Aurangzeb and Murad during the Battle of Samugarh, 13 km from Agra on 30 May 1658. Subsequently Aurangzeb took over Agra fort and mercilessly deposed his own father emperor Shah Jahan on 8 June 1658. Later, he jailed him. Prince Dara was at large and took refuge in Sind, but was betrayed by the treacherous Junaid - Junaid Khan Barozai (Malik Jiwan), an Afghan Chieftain. On 10 June 1659 Dara was turned over to Aurangzeb. Prince Dara was paraded publicly on a dirty elephant and four of Aurangzeb's henchmen, in front of his terrified son, on the night of 30 August 1659 executed him in a cruel manner. After death, Dara's mortal remains were buried in an unidentified grave in Humayan's tomb in Delhi. It was the end of a fleeting and enlightened prince who was supposed to ascend the Mogul throne. The fate had it that this charismatic prince, a favorite of Shah Jahan was felled down by his brother Aurangzeb, a fratricidal ruler who caused the decline of Mogul dynasty.